Levi’s Has Lost its Rugged Way. I love a good cause. Clean water, sans parasites , in the developing world (Africa) is one such. Levi’s jeans, as part of its “Go Forth” campaign, is sponsoring a Facebook program that ask people to click their support for Water.org, and once a 100,000 clicks are gathered Levi’s will donate money. This is “good’s work” (thank you Bailey’s Café) and it will make a difference. I support it and suggesteth everyone go forth and donate. 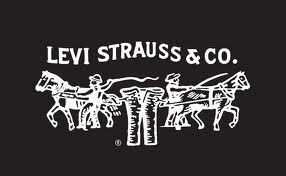 That said, Levi’s still needs a brand idea and “individualism and independence” ain’t it. If Levi’s cares about the environment, and I know it does, they should jump on the durability wagon. Buy one pair, don’t get one free, you don’t have to buy another pair for 3 more years. That’s environmentalism. And stop with all the stone washing stuff that wears the jeans out a year early. The worn-in patina of a pair of Levi’s is the badge. Faded knees, faded pockets, holes in the crotch. This is life. Not art imitating life. Don’t pay some schmekel to pre- tear your jeans…get up on the life cycle and wear them out yourself! The Water.org project should be left to the PR dept. Fight the durability fight (it’s American) and get mad credit for the environment – on so many levels. Peace! Next articleFeets Don’t Fail Under Armour Now. Solution for the CMO Lifespan.